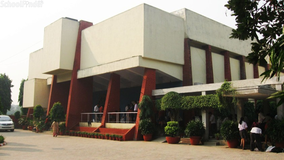 Mirambika School is located in Saket, Delhi. It was established in 1981. This school follows the State board. The school has English medium. Admission will be available from January and ends in March.,A child should have completed 3 years as on 31st March of the year of admission.\nThe school offers free seats for children of economically weaker sections and disadvantaged people.\nA child is given admission after interview and group discussion with parents.\nThen the younger children attend a one-day observation session while and the older children undergo week-long observation.\nChildren’s behavior is informally observed. 1.Ration Card Issued In The Name Of Parents.\n2.Domicile Certificate Of Child Or Of His/her Parents.\n3.Voter I-Card Of Any Of The Parents.\n4.Latest Electricity Bill/ MTNL Telephone Bill/water Bill/ Passport In The Name Of Any Of The Parents Or Child.\n5.Aadhaar Card/UID Card Issued In The Name Of Any Of The Parents.\n6.Birth Certificate.\n7.Residential Proof. Best schools in Delhi, Best schools in Saket, Best State Board schools in Delhi, Best State Board schools in Saket, Best Coed schools in Delhi, Best Coed schools in Saket, Best English medium schools in Delhi, Best English medium schools in Saket.